Experience the best New York City has to offer in entertainment, dining, and shopping! An elegant night on the town is just steps within The Shops at Columbus Circle. Shop for the perfect outfit. Suit up at BOSS, where shoppers will find a versatile range of menswear and womenswear for every occasion. Of course, no outfit is complete without shoes, and Stuart Weitzman’s selection of gorgeous women’s footwear is guaranteed to put a spring in anyone’s step. Porter House Bar and Grill serves up prime steak and seafood dishes, plus a wine list of more than 550 labels and a world-class assortment of premium cocktails—the perfect place to wine and dine before a night out. 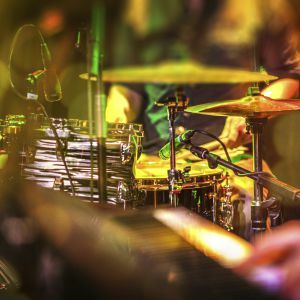 New York is known for its jazz scene, so be sure to check out a performance! At Jazz at Lincoln Center, Dizzy’s Club (voted #1 jazz club by NYC hotel concierge) is where the classic jazz club is reinvented. Up-and-coming artists, great soul food and a full bar will guarantee a noteworthy memory. Or, snag tickets to a show at the Appel Room or Frederick P. Rose Hall. A Jazz at Lincoln Center performance will never disappoint. Wind down with a nightcap at Center Bar. Breathtaking views of Central Park and Columbus Circle along with specially curated cocktails – neat or on the rocks – is the best way to end an unforgettable evening.